Trip reports, photos, and commentary from New England, California, and beyond. by Matthew Reagan: scientist, hiker, skier, guru. 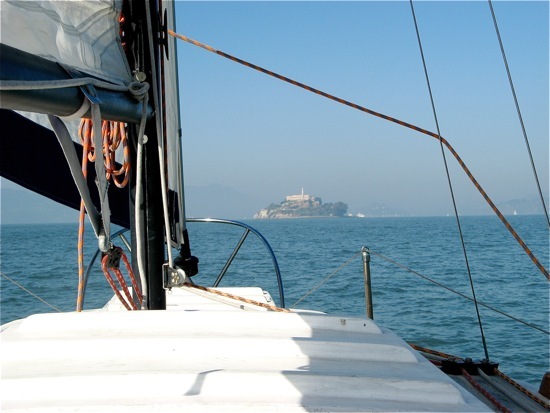 1/17/09: Alcatraz, from Cloe, on a day when I should have been skiing. "You'll never know unless you go." . . . "If you don't do it this year, you'll be a year older when you do." In a world where "recreation opportunities" dilute the experience, there is still a chance for salvation. What do you think? Where have you been? Check the dates--new material is constantly being added.